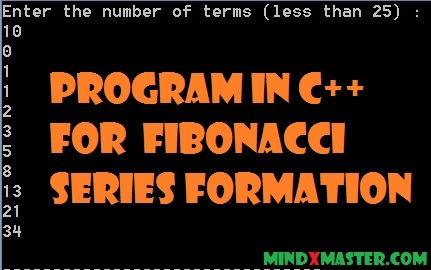 This is pretty simple program that takes in the number of terms num1 in the fibonacci series (less than 25) as a screen input from the user. It then computes the fibonacci series and prints it out using the 'cout' command. Thank you for reading this post. Happy programming!